How the Earth formed out of cosmic dust and became the planet we know today. 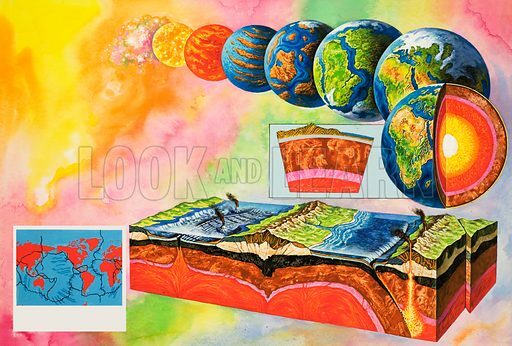 Includes a cross section of the Earth's crust and a map of continental tectonic plates. Original artwork (dated 25/3/67) loaned for scanning by the Illustration Art Gallery. Available worldwide for immediate download up to 4,869 x 3,286 pixels.